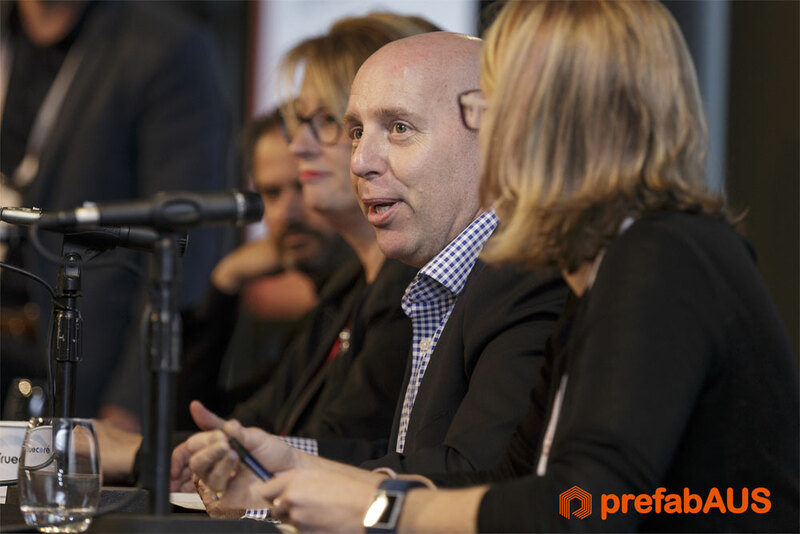 Convened by prefabAUS, the peak body for Australia’s prefabricated building industry, the 2017 conference brought together industry heavyweights to discuss far-reaching trends affecting the built environment in its broadest sense. A lively industry leaders panel was assembled, comprising Kristin Brookfield of the Housing Industry Association; Sally Capp, executive director of the Victorian chapter of the Property Council of Australia; David Chuter, managing director and CEO of the Melbourne-based Innovative Manufacturing Cooperative Research Centre (IMCRC); and Peter Malatt, outgoing president of the Victorian chapter of the Australian Institute of Architects. Warren McGregor, CEO of prefabAUS, said the panel highlighted some of the ways good design has the potential to breakdown outdated perceptions of prefabrication. “Prefabrication has come so far from its origins, McGregor said. The panellists agreed it is inevitable that in the near future in the Australian building industry prefabrication will move from being an alternative, disruptive methodology to a mainstream approach to design and construction. This is because, as Malatt emphasised, the quality, environmental, safety and affordability benefits that come with using prefabrication are too compelling to ignore. “We can see the potential in prefab to not just produce the same quality as traditional methods but in fact much better quality, as well as much better environmental quality, much safer buildings and much more affordable buildings,” Malatt said. 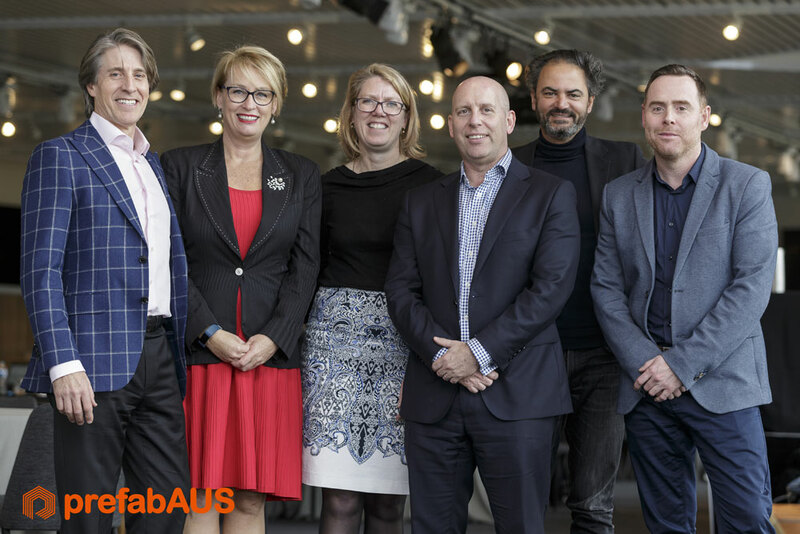 Warren McGregor prefabAUS, Sally Capp Property Council of Australia, Kristin Brookfield Housing Industry Association, David Chuter IMCRC, Peter Malatt AIA, Damien Crough prefabAUS. From the Property Council of Australia perspective, Capp focused on the part prefabrication might play in solving the housing crisis. More Australians, Capp said, are moving to multi-residential dwellings and away from the detached home and “white picket fence”. In doing so, they are prioritising cultural “amenity over serenity”. “We are really striving to bring more attention to the debate around density and our middle ring suburbs. 70 percent of our growing population needs to be housed in our existing suburbs and prefab has a major role to play in that,” Capp said. Many of the speakers noted the similarities between factory-built prefabrication for the built environment and the kinds of quality control and production-line assembly seen in advanced manufacturing industries. Chuter, from an IMCRC perspective, sees this as an urgent issue for the Australian fields of architecture and construction. “What is the role of advanced manufacturing in the prefabrication sector? I think it’s not a question of what’s the role, it’s what is the impact if we don’t adopt some of these technologies that are emerging and being rapidly adopted around the world,” Chuter said. The prefabAUS 2018 Conference will take place in Brisbane on 11-12 September at the Brisbane Convention and Exhibition Centre. Read about how prefab is playing its part in cutting-edge architecture.